It's would be easy to argue that Square Enix has suffered a lot of problems with its Western-developed franchises. Earlier this year, the publisher split with Hitman developer IO Interactive, indicating that last year's episodic outing hadn't performed as well as either party had hoped. After disappointing sales of Deus Ex: Mankind Divided, our sister site Eurogamer reported that the series had been put on hold. A humourous tweet back in May from Eidos Montreal studio head David Anfossi implies there's no resources for a fifth Thief game. Even the mighty Tomb Raider seems to have struggled in the eyes of the publisher, failing to meet its initial sales expectations back in 2013 and only beating profit expectations a year after release. It would be easy to argue the Square's Western business is in trouble, but this is not the entire story. CEO Yosuke Matsuda already spoke to GamesIndustry.biz about why the publisher decided to let Hitman go, but he also shared the current status of these other franchises. "There are actually lots of misunderstandings here," he says on the perception that his firm's Western games are struggling. "First of all, Tomb Raider is a very important title and very important piece of IP for us, and nothing has changed about that. "The fiscal year prior to the one where I became president [in 2013] was one where overall our earning numbers were not very good. It was immediately before the end of that fiscal year, in March, that Tomb Raider came out so we had very high expectations for that. Looking back on that now, I think the target we set for ourselves was extremely high. "I say this with the benefit of hindsight now, but at the time our numbers leading up to the release of Tomb Raider had been very poor and I think our people were probably banking on that and wondering how much it was going to help our final earnings. In the end, it didn't quite sell as much as we had anticipated." Ms Croft's rebooted adventures have certainly delivered strong sales since. 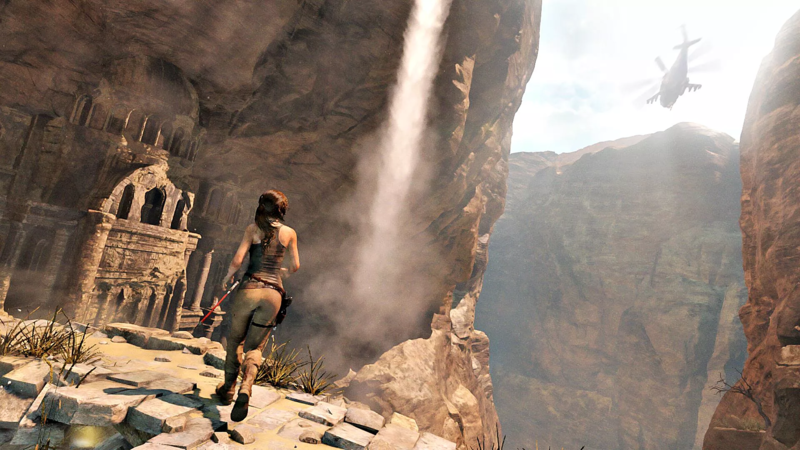 Today, the 2013 Tomb Raider has sold more than 11 million units worldwide. The 2015 sequel Rise of the Tomb Raider has shifted nearly seven million units - and remember that it wasn't available on the market-dominating PS4 for the first year. 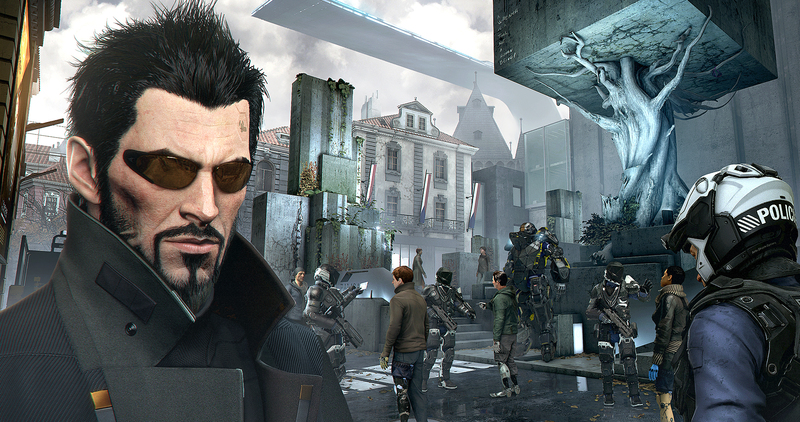 Matsuda is also quick to quash premature reports of Deus Ex's demise: "We have never said anything about discontinuing that title but for some reason that's the rumour out on the market. "Our earnings were not very good before Tomb Raider came out so we had very high expectations. Looking back, I think the target we set for ourselves was extremely high"
"What I can say is Eidos Montreal has always developed Deus Ex, and the issue is we do not have limitless resources. We have several big titles that we work with and that's partly a factor in what our line-up looks like. Of course, it would be ideal if we could work on all of them all of the time, but the fact of the matter is some titles have to wait their turn. The reason there isn't a Deus Ex right now is just a product of our development line-up because there are other titles we are working on." He went on to add that Deus Ex is also a "very important franchise" for the publisher, highlighting its unique position in Square Enix's portfolio as a first-person title, and added: "We are already internally discussing and exploring what we want do with the next instalment of it." While Matsuda didn't address Thief specifically, the stealth series is also developed at Eidos Montreal so is no doubt in the same position at Deus Ex. This is in no small part because Eidos Montreal is one of several studios working on Square Enix's multi-year, multi-game partnership with Marvel Studios. We already know Crystal Dynamics has also been assigned to this, currently developing an Avengers game, but the impression is that many of the publisher's studios have some if not all of their teams devoted to Marvel. "I can't really go into specific numbers," Matsuda tells us, "but I can say we're dedicating considerable development resources to them, especially out of the Western studios." Marvel is one of the biggest brands in entertainment right now, but while the Hollywood giant is able to churn out multiple superhero flicks per year it will be a much longer wait before we see the fruits of its Square Enix partnership. Is the Japanese publisher not concerned that by the time its products are ready for release, the public will have grown bored of superhero outings? Certainly with the number of films planned from just Marvel and DC alone, it's easy to imagine cinemagoers tiring of the formula. "I make a point of regularly checking on the [Avengers] build, and to me it looks amazing"
"There would be nothing we could do at all if that was the view we took," Matsuda says. "That's not just a factor in the gaming industry, this is something that's true about the entertainment industry in general. At any rate, we intend to do our best. "I believe that the level of the game that we're developing right now, as far as I have seen, is amazing and you'll be seeing news about it going forward. I make a point of regularly checking on the build, and to me it looks amazing." While there may have been some disappointments from Western franchises over the past few years, it's a very different story for the firm's long-running Japanese-based IP. Final Fantasy and Dragon Quest have been the publisher's biggest sellers in recent times, helping Square Enix achieve record profits. This is in no small part thanks to the dramatic turnaround seen from the Final Fantasy series, which our own Rob Fahey discussed earlier this year. 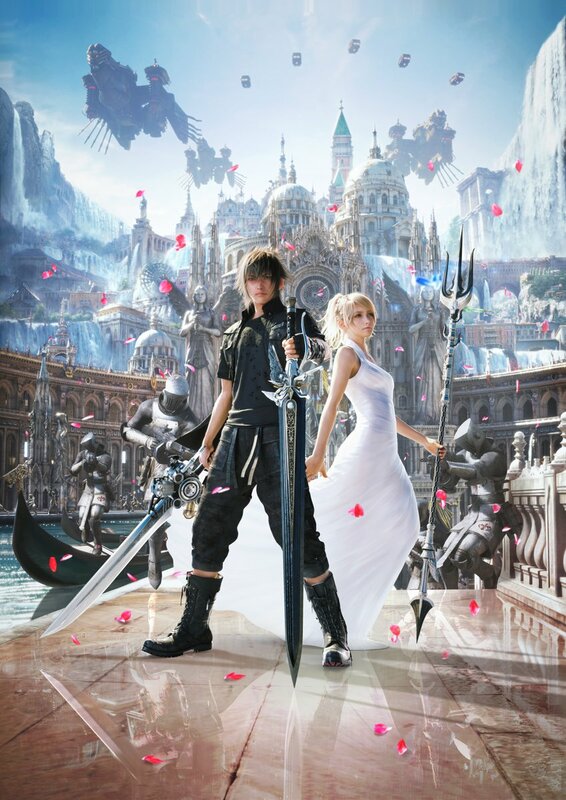 The triumph of last year's Final Fantasy XV and ongoing success of MMO outing Final Fantasy XIV has reaffirmed how important the flagship RPG franchise is to Square Enix. "Final Fantasy is not something we could ever discontinue. It's a very important franchise for us but also a source of great pressure"
"It's not something we could ever discontinue, so in that sense it's a very important franchise for us but also a source of great pressure," Matsuda says. "Each time, it's a challenge for us to decide what kind of team to put on Final Fantasy. The developers always work under a lot of pressure. "Innovation is the key. Of course the motif is consistent, but we need to always challenge ourselves, to do something that surpasses the previous instalment or to provide something different to what we've had before. I think we were able to maintain that tradition with both XIV and XV, and I see that as an achievement." FFXV also represented Square Enix's biggest attempt to date at creating a transmedia franchise. The game's release was preceded by a short anime series that introduced the characters, and a prequel movie setting up the story. There were similar plans to build around Mankind Divided with a range of Deus Ex Universe products, but this never came to pass. Has Final Fantasy encouraged Matsuda to take his brands into all forms of entertainment? "Final Fantasy XV was an example of that going very well," the CEO acknowledges. "As to whether we intend to do that for all titles going forward, I would say no, it's going to be on a case-by-case basis. There are some instances where that will fit very well and others where it won't... so I want to make that decision on an individual basis going forward. "At the end of the day, we are rooted in the games industry. Having solid games is at the basis of everything we do, and that's not going to change." Strong sales for Final Fantasy and, perhaps to a lesser extent, Dragon Quest are not just a Japanese boon for the publisher - the former certainly performs well in the West. Have Japanese developers become better at creating games with global appeal, or are Western consumers simply showing a taste for Eastern ideas. Matsuda believes this is the product an ongoing industry shift. "Given the popularity of PS3 and Xbox 360, Japanese developers became particularly aware they needed to catch up to those things," he posits. "That also was actually going on at Square Enix as well. But then there was a generational shift and I will acknowledge that we learned an expensive lesson. "In the case of Final Fantasy XV, I told the developers they should do what they thought was best, that there was no need for them to be overly conscious about what the Western developers do. They should do what they wanted to do and that would prove the most attractive. And probably the same kind of thing was going on at other Japense publishers as well. People started working on leveraging their own strengths. "This isn't something that just applies to Japanese developers but also to the Western developers. I believe they're able to create the best games when they develop titles leveraging their own individuality." The resurgence of Final Fantasy and Dragon Quest may have offset any disappointments with Western releases, but Square Enix maintains that its portfolio will always benefit from a blend of East and West. While the past year has seen the majority of earnings from new titles generated by Japanese games, Matsuda observes that catalogue sales show "quite strong performances from the products of our overseas studios." He adds: "From my perspective, the management doesn't make a distinction between the Japanese and Western studios, but rather checks the line-up across the board." "At the end of the day, we are rooted in the games industry. Having solid games is at the basis of everything we do, and that's not going to change"
The CEO goes on to observe that the "lifecycles of our products has been getting longer", enabling them to bolster Square Enix's financials long after launch. 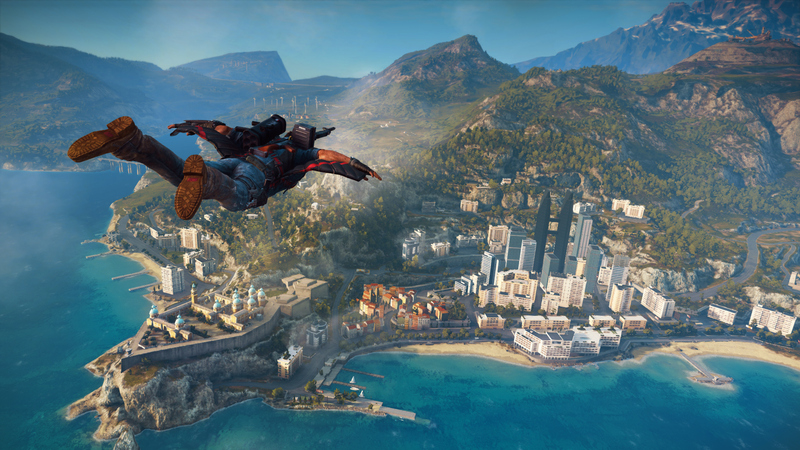 He offers the example of Just Cause 3, for which Square Enix "no longer has any depreciation costs", making it a solid contributor to the publisher's earnings. Tomb Raider is also a major contributor. "The catalogue titles and them selling over a longer period of time is very attractive from an earnings perspective," he says. "How we go about building a backlog of titles like that is actually very important to our business model." Another interesting perspective into the balanced between East and West at Square Enix is the mobile space. The vast majority of the publisher's mobile titles are developed in the East, and therefore most likely to attract audiences in Japan, Korea, China and other similar markets. But it does still have a Western presence in the mobile space. Matsuda describes Square Enix Montreal - developer of Hitman Go, Lara Croft Go and Deus Ex Go - as "the centrepiece of our mobile effort" to attract more Western smartphone owners, but recognises that the number of Western studios working on mobile games is "something we need to bolster and work hard on". This also extends to reaching the end users, he says. "If there's an area where we have not done all that we could have up until now, it would have to be the US - well, the Western markets but especially the US. The question there is how we go about getting our titles into the upper rankings, and one way we can do that is by leveraging our IP, especially our Japanese IP." The firm is already seeing decent performances from a mobile outing of Kingdom Hearts and a strategy game based on Final Fantasy XV, styled much like Californian developer Machine Zone's insanely popular Game of War. But Matsuda remains determined to bring something fresh to the space. "We don't make a distinction between the Japanese and Western studios, but rather check the line-up across the board"
"I believe Square Enix Montreal is capable of producing titles that have something of a different taste from what we offer in our Japanese titles, something that will appeal to US players as well," he says. "They have the capability of providing games that can be successful in the global market, especially the US. We're currently exploring different possibilities with free-to-play, so that is something we're working on." 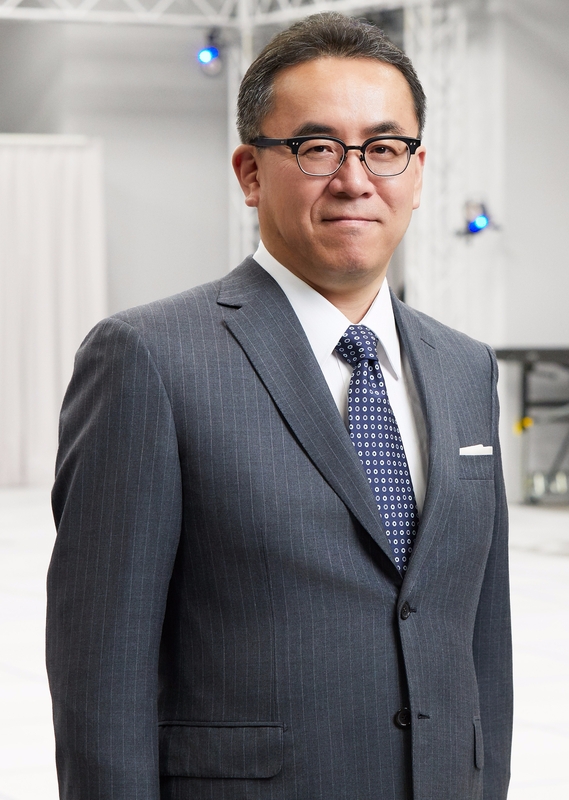 The Montreal team is particularly focused on augmented reality, Matsuda reveals to us, although he is unable to offer any concrete details on potential projects. "I believe the mobile AR market is going to prove to be attractive going forwards," he says. "That team is very skilled in terms of both development and technical prowess. In particular, AR is a space where you need strong technical skills so I don't think it's an area where a newly-emerging game company is going to be very successful, but I think Square Enix Montreal can perform well in that space. We're working on mobile AR efforts across the company, but in particular it's an area where I have high expectations for the Montreal team." Augmented reality is enjoying a fresh wave of investment at the moment, thanks to efforts by both Google and Apple with their respective development tools. But several years of experimentation with augmented reality has yet to deliver many titles where the technology is little more than a gimmick - even the mighty Pokémon Go, hailed (perhaps incorrectly) as the dawn of a new age for AR games merely offers the novelty of seeing Pikachu in your lounge. This is something Matsuda is also very conscious of: "For AR to be successful, the game design has to make it so that there's some element that has to be AR or else it doesn't work. "Apple and Google are putting a lot of effort in at the moment so the technology is becoming increasingly sophisticated and we're reaching the point where the AR element can be an essential part of the game. Once that happens, the only key element that remains is the creators, so I do think that we are reaching the point where it can be an important factor in the game that makes it more appealing." Square Enix is being much more cautious with virtual reality. While it has dipped its toe in with FFXV spin-off Monsters of the Deep, the publisher believes that the market has not been established enough to warrant significant investment - and this applies to both games firms and consumers alike. "What separates VR from AR right now is the heavy investment that VR requires from the users," Matsuda explains. "The PlayStation offering is comparatively inexpensive but other VR options require significant investment from users. It requires the head-mounted display and things like that, so there are considerable hurdles to getting users to try it. Those are things that time will eventually resolve but in terms of what to do up until then, until it gets a critical mass of users, I think it's quite difficult. "Our policy is that if there is some kind of fun element that we can generate with VR, that it has to be VR in order for it to be fun, then of course we would like to provide that. But we don't have the intention of doing VR for the sake of it."